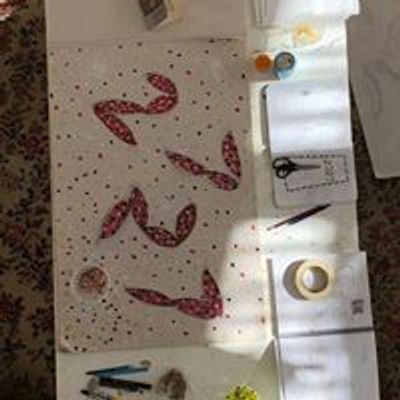 [opening] is Audrey’s solo improvisational, constantly unfolding work in progress that explores the relationship between the body and time travel and an ongoing process of opening the self. [opening] rehearsal experiences are invitations to the public to enter and engage with this study of understanding and shaping the self. Witness [opening] in rehearsal and engage with a selection of materials including: a library of afrofuturist reference texts, written works by Audrey that include scores and poems for the movement research, creative writing prompts to write your own visionary texts, tea and snacks, and an opportunity to participate in [opening] in rehearsal. THURSDAYS March 14 & 21. 12-2pm. 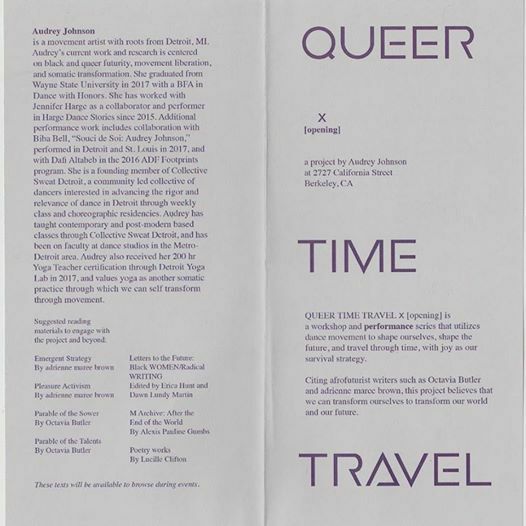 QUEER TIME TRAVEL x [opening] is a workshop and performance series that utilizes dance movement to shape ourselves, shape the future, and travel through time, with joy as our survival strategy. Citing afrofuturist writers such as Octavia Butler and adrienne maree brown, this project believes that we can transform ourselves to transform our world and our future. Audrey Johnson is a movement artist with roots from Detroit, MI. 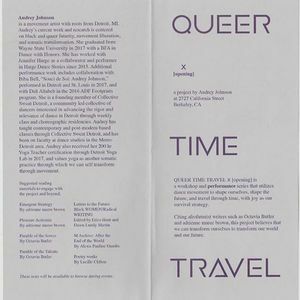 Audrey’s current work and research is centered on black and queer futurity, movement liberation, and somatic transformation. She graduated from Wayne State University in 2017 with a BFA in Dance with Honors. She has worked with Jennifer Harge as a collaborator and performer in Harge Dance Stories since 2015. Additional performance work includes collaboration with Biba Bell, “Souci de Soi: Audrey Johnson,” performed in Detroit and St. Louis in 2017, and with Dafi Altabeb in the 2016 ADF Footprints program. She is a founding member of Collective Sweat Detroit, a community led collective of dancers interested in advancing the rigor and relevance of dance in Detroit through weekly class and choreographic residencies. Audrey has taught contemporary and post-modern based classes through Collective Sweat Detroit, and has been on faculty at dance studios in the Metro-Detroit area. Audrey also received her 200 hr Yoga Teacher certification through Detroit Yoga Lab in 2017, and values yoga as another somatic practice through which we can self transform through movement.